Radial tyres offer greater horsepower-to-ground capability, less wheel slip, reduced soil compaction and increased farm productivity. “While the exterior profile of today’s radial tractor tyres is a little different to 25-40 years ago, advances rubbering tyre technology are immense, and it is with pride that we not only implement these advances but also enhance and reinforce them with technological innovations of our own,” stated GRI CEO Dr. Mahesha Ranasoma. GRI announced their first technologically advanced radial range of tractor tyres – namely the GREEN XLR 65, 70, 85 and 95 series, in April 2018. This was not only a first for GRI but also for Sri Lanka, as the company effectively enhanced the nations export portfolio via the offering of a whole new high-value product to the international market. GRI’s combination of radial technology, special compounds, and unique tread designs prove to deliver a longer service life and great value to end users. The innovative tread structures achieve less sinking on soft surfaces, allowing minimum soil compaction and excellent farm productivity. 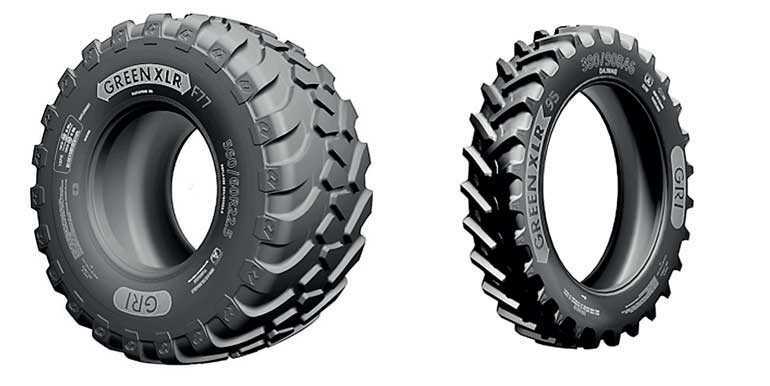 In October 2018, GRI released the first Radial Flotation Tyre to be made in Sri Lanka – namely the GREEN XLR F77, with the goal of offering increased efficiency and higher yields to farmers. GRI engineered its multi-directional tread pattern to ensure superior flotation suitable for on and off-road applications, its wide tread width provides high traction and stability, the high centre block to lug ratio is for excellent road ability and low soil damage. The GREEN XLR F77 furthermore features optimum land/sea ratio, dual angle block-lug a dual layer tie bar. “With arable land running out and the world’s population on the rise, the only way to produce more food is to attain higher productivity from the land we have. To meet this demand gap, the need for a significant leap in tyre technology was vital to save farmers’ time and money. 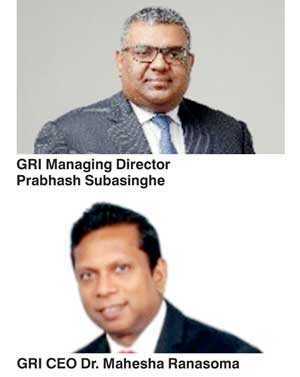 It was with this goal that GRI set forth its journey to support the Agriculture Industry by introducing a range of Agriculture Tyres that can deliver the promise of assured performance and exceptional value to the farmer,” stated GRI Managing Director Prabhash Subasinghe. GRI is a leading producer of specialty tyres from Sri Lanka, with offices in six countries and sales in over 50 countries around the world. GRI produces high-performance agriculture, construction and material handling tyres.